Are you looking for iPhone music transfer software that can serve as an alternative to iTunes? You’re not alone. Many people are sick of iTunes’ restrictive nature, bloated size, and slow loading time. When you need to transfer music back and forth without any hassle, you may need to try some third-party software to transfer music from iPhone to your computer or vice versa. There are quite a few different kinds of tools that can help you sync your music from iPhone to computer, or from PC/iTunes to iPhone. Let’s take a look at the top 5.
iMyFone TunesMate is probably the best iPhone music transfer software available. As an all-in-one iPhone music transfer, it has a simpler interface than iTunes and gives you more control to transfer/manage iPhone music. It is highly spoken of by hundreds of media like Geekreply, tricksworldzz.com, etc. With it, you can transfer music from your iPhone to PC and vice versa, from iPhone to iTunes and vice versa, and even between two iOS devices. 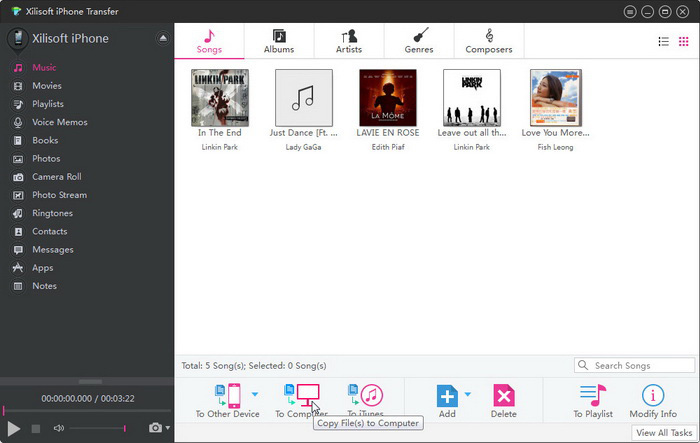 You can also manage and view your playlists using the software. Instead of being restricted with what you can do, as is the case with iTunes, TunesMate gives you a lot of freedom. Two-way Sync - Sync the music on different iDevices to iTunes/PC, then sync the PC/iTunes library to your iPhone/iPad/iPod without any data loss. Sync Music without Data Loss - You can sync iTunes music to your iPhone without overwriting the current music library. Manage Playlists - Transfer entire or selected playlists to PC/iTunes library, transfer music from one playlist to another, etc. Full Compatibility - Support music, movies, audiobooks, podcasts, playlists, iTunes U, TV shows, camera roll, photo library, etc. 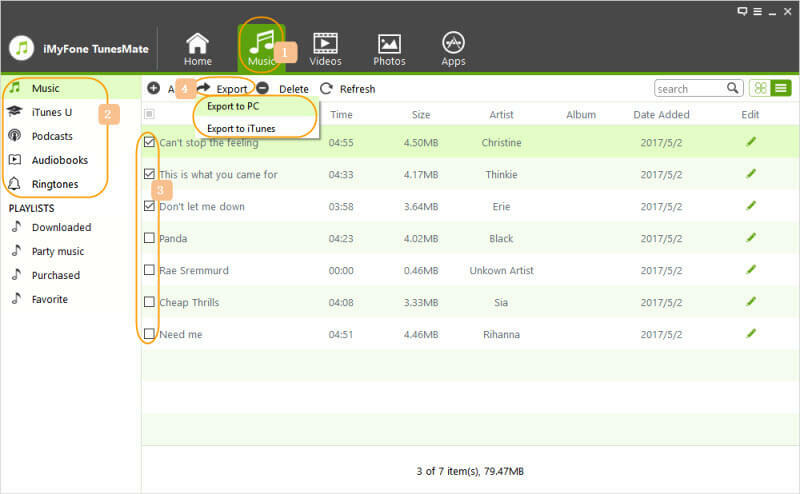 Convert Music Format - Incompatible music/video formats will be automatically converted when transferring to iPhone. Step 1: First, download the free trial and install the software onto your computer, then using a cable to connect your iPhone to the computer. 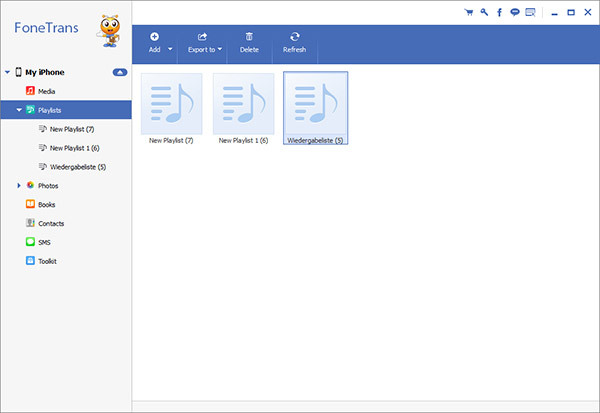 Step 2: Click Music, then a list of your music files will show on the screen. Select which ones you want to save on your computer, and then click Export > Export to PC/Mac. Step 3: Browse and select a computer folder or external HD and hit Open Folder to begin. Finished! It is easier that you expect! Not only iTunes music, but freely-downloaded music, music purchased from Google/Amazon/other where are supported to transfer. This is very versatile iPhone music transfer software that can transfer lots of data, like music, movies, photos, etc. Just as with iMyFone TunesMate, you can do way more than you can with iTunes alone and there is a free version and a paid version. It works on both Windows and Mac computers. It does not support to rebuild your iTunes library. It is not available to transfer iTunes media to iOS device. Sometimes it can lock up and crash. A really popular iPhone music transfer software suite, TunesGo also transfers many other kinds of files. 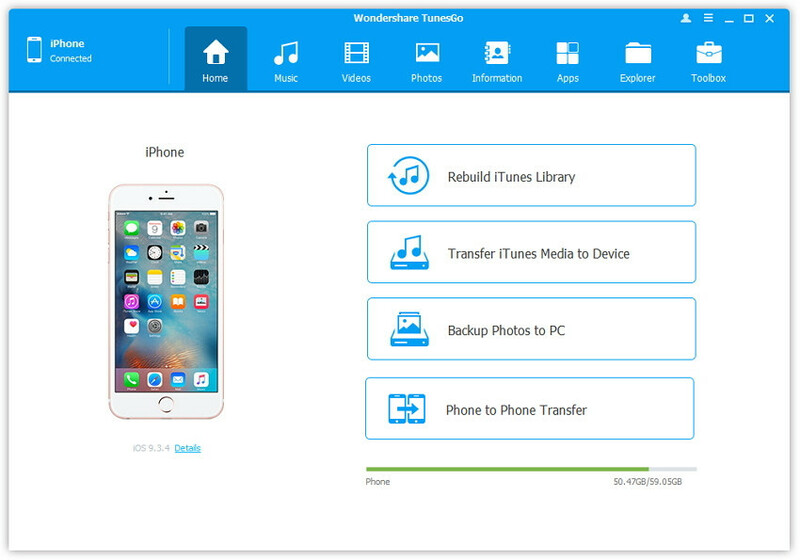 You can transfer video, photos, and other information that is on your iPhone very easily. One of its strengths is its extremely simple user interface. Just about anyone could figure out how to use it. It is not available to transfer app data for iOS 9 and later. It does not support to manage ringtones. 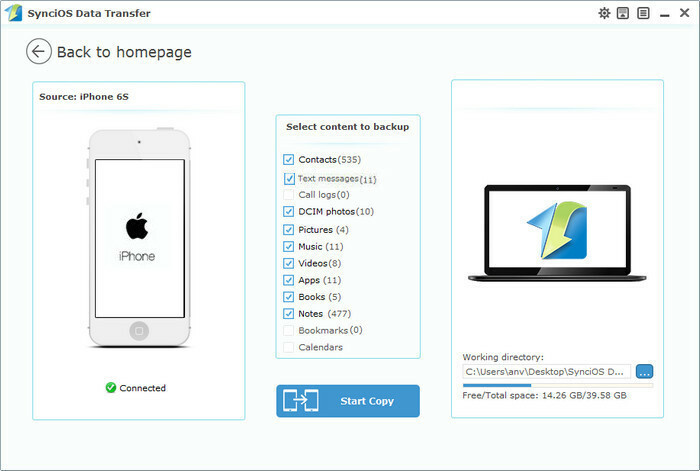 With the Syncios manager, you can transfer files—including music—back and forth between your computer and your iPhone. You can also convert media files and make iPhone ringtones easily. It even supports Android in addition to iOS devices. If you’re running older versions of Windows, such as XP, it may not be supported. It does not support to transfer app data and games between iOS devices. This is a great little software suite that can sync your iPhone’s music with your iTunes library, backup your iPhone data to your computer, and manage all of your files. It’s able to support many of your devices at the same time, and works with both PC and Mac. The only thing is that some people might find the interface to be a bit less easy to navigate than the other iPhone data transfer applications mentioned above. If you need to transfer music between your iPhone and your computer or iTunes, try these software now!